Modelled on a castle in Transylvania, Vajdhunyard Castle really is a work of art, combining the best of Romanesque, Gothic and Baroque architecture. History says that the original structure was made of canvas, for the Millenary exhibition, but the people were so impressed, they asked the architect to build the structure in stone. 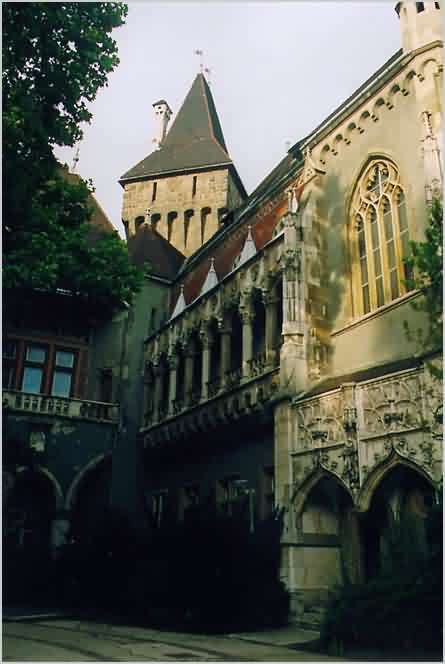 Currently, the castle is the home of the Hungarian Agriculture Museum. I did not have time to go in so don't ask me what it's about.